The IJF Head Sport Director and Daniel Lascau, IJF Sport Director, analyze the two day of competition of the 2019 edition of the Paris Grand Slam. In the men's heavy weight category, the winner of the Asian Games last summer, Korea's Kim Sungmin, finalist in Paris in 2018, was facing Japan's Hisayoshi Harasawa, the bronze medalist at the 2018 World Championships in Baku. The Japanese seemed to be on fire today and in the first seconds he launched an uchi-mata, but moving in the wrong direction, he was immediate counterattacked, by Kim who was ready and simply had to push to increase the movement. We will remember that once again the legend Idalys Ortiz was the most determined athlete of the day in the women's heavy weight division. Her first medal, in the French Capital, goes back to ... 2009. It is amazing to see that the Cuban champion, who won everything in her career (including World Championships and Olympic Games) was capable, ten years after her first podium to find the motivation to add a second Grand slam title to her generous prize list. In that category, Idalys Ortiz will again be one of the favorites for a new Olympic title in Tokyo and her impressive experience will definitely help her against the new generation of athletes. Varlam Liparteliani is not only an amazing champion. For his teammates as well as for the other competitors on the circuit, he is sometimes considered as a leader and a big brother. The Georgian met in the final his old 'friend' Aaron Wolf, who defeated him in the final of the 2017 World Championships in Budapest. Wolf almost stole the gold medal to 'Lipo' again with a powerful sasae, but for no score. It is with his homemade uchi-mata that the Georgian finally scored a waza-ari, thirty second to the end. With this result, Varlam Liparteliani stepped on his seventh successive podium for three victories. That can be called consistency. As we already said, the French Malonga put pressure from the first second on of the final against her experienced opponent, the German Luise Malzahn. A first o-soto-gari makkikomi, put Malonga in front. But that was not enough and the German, who was totally incapable of imposing her kumikata was penalized three times. An other good example of that determination which Daniel Lascau was talking about. The Korean Gwak Donghan was launching his season in Paris. After his 2015 world title and his Olympic medal in Rio, this is the perfect scenario. Two shido behind in the final, he did not panic and scored a first waza-ari on a sudden 'steering wheel' move, followed by a ippon on a uch-mata ken-ken. 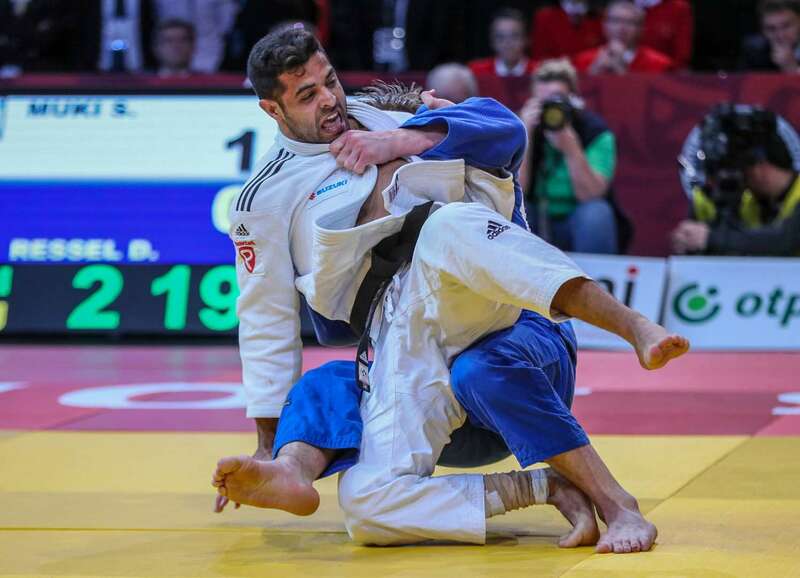 Last but not least example of determination, in the final of the -81kg, were the Israeli Sagi Muki, seemed to perfectly dominate the last match, after having executed his classic sode, sometimes followed by o-soto-otoshi, throughout the day. But is is finally the German Dominique Ressel who had clearly studied his opponent who was able to counterattack what had been Muki's best weapon earlier during the day. The best athletes of the world will now concentrate on the next event of the season, with the Düsseldorf Grand Slam, which will be held from February 22-24, in Germany.